Mold can grow undetected in homes for considerable time before homeowners realize there’s a problem. Here, we’ve collected information from mold remediation professionals to help you combat mold growth in your home and prevent it from occurring in the first place. Get Started: Get the basics on how and why mold appears in our homes. 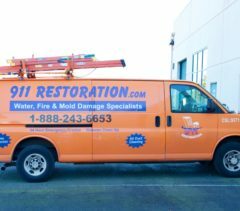 Find: Find a quality water damage and remediation contractor. Research: Take a deep dive into resources and articles on mold and water damage. Silent, it grows undetected. Hidden, it lurks beneath your floors and inside your walls. No, it’s not some alien from a science fiction movie—it’s mold! While less terrifying than an extraterrestrial invasion, mold is nonetheless a pervasive problem found in homes throughout the Bay Area. It’s well-known that the primary cause of mold is moisture, often as a result of damp, humid conditions, which is why the best way to prevent it is controlling your home’s humidity levels. Learn how one homeowner determined that a sump pump would be the best method for maintaining a dry, mold-free home. Depending on the location and condition of your home, mold can still be an issue during the dry summer months. Learn how to take proactive steps when your home faces water intrusion. S & S Painting and Coatings, Inc.
RICHMOND — Upon discovering mold in your home, your first instinct will likely be to clean it up yourself. However, in most cases, you’re better off ignoring this instinct and leaving the job to a professional. Why? Because cleaning mold can be far more complicated than you might expect. When the average person attempts to clean mold, they typically wipe it up with a bleach and water solution. The problem is, even if the mold appears to have been removed, this may not be true. That’s because mold on drywall, wood flooring and other organic components in the home often has roots that go beyond the surface. In this case, simply wiping up the mold won’t resolve the issue—it’ll only return a few days later. Permanently removing the mold will require more intensive measures. Besides being ineffective, attempting to clean mold yourself can actually aggravate the original problem. If you’re not careful, you could disturb the mold spores and cause them to become airborne and spread to other areas of the home. 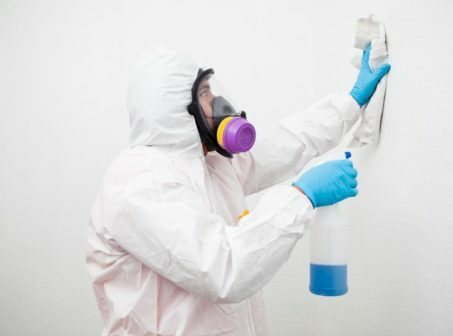 Rather than attempting to clean mold yourself, a better course of action is to call a certified mold remediation professional—they’ll have the tools and knowledge to accurately pinpoint the problem, assess its extent, and perform an effective removal. Sometimes all that’s needed is a basic cleaning; other times, a technician will need to physically remove the affected material and replace it. Additionally, improvements like increased ventilation may be required to remedy conditions that allow mold to develop. In any case, a professional will follow specific guidelines to ensure mold is removed in a safe, controlled fashion. 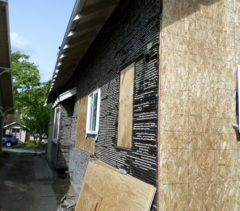 SANTA ROSA – Upon finding mold in their homes, people often take it upon themselves to get rid of the problem. However, when it comes to removing mold, there are right and wrong ways of going about it. Not only are some methods ineffective, in some cases, they can create a bigger problem than there originally was. That’s why it’s important to know the proper ways to deal with mold, as well as common mistakes to avoid. The most common way homeowners try to remove mold is by wiping it down with bleach. However, while bleach is an effective cleaner and sanitizer, it’s also a toxic chemical, with a byproduct that can be more harmful than the mold itself. That’s why it’s crucial to exercise proper procedure when using bleach. Most importantly, make sure to dilute it to a 10 percent bleach/90 percent water solution, which will provide ample cleaning power without any hazardous side effects. For maximum effectiveness, spray the solution on the targeted area and let it sit for at least 10 minutes before wiping it off. Despite bleach’s cleaning strength, it doesn’t always offer a permanent fix for mold problems. One common example is with mold growth on porous surfaces like drywall, where the fungal roots often reach further beneath the surface. Think of it like pulling weeds in your garden: even if you get rid of the visible weed, if you haven’t removed it at the root, it’s going to grow back. The same goes for wiping mold off a porous surface. In this case, you’ll likely need to call a mold removal specialist who can cut into the drywall and remove the mold at its source. Since mold thrives in humid conditions, some homeowners attempt to dry out a mold problem by putting a fan on the affected area. This may seem like a good strategy, but it can actually cause the mold to spread further throughout your home. Since mold is a spore, when you blow air on it, you’re blowing those spores all over the place, which can create a much worse problem. A better way to combat humidity is to use a dehumidifier, which will dry the area without causing further spore dissemination. Finally, a good measure to keep mold contained is to cover the affected area with plastic. Using a garbage bag or plastic wrap, cut out a square that matches the size of the area and seal the edges with duct tape. This will keep the mold from spreading until you can bring in a specialist to deal with the issue. OAKLAND — If you’re remodeling your home, one of the most important things you can do is check to see what’s behind your walls. Why? Because if there’s any hidden mold or mildew, it could jeopardize your entire project. In most cases, it’s impossible to know whether mold or mildew is present behind the walls in a home, but it’s better to find out for sure than to make a wrong assumption. This is especially important if you live in an older home, where the combination of time and inferior building methods and materials increases the opportunity for mold or mildew issues to take root. Consider a real-life example from a home addition project I recently did in Berkeley. Initially, when we opened up the walls, everything looked good on the inside, but as we got further into the project, we discovered there was a lot of mold and mildew. It’s a good thing we found it—otherwise, we might have completed the project without fixing the problem, which, as with all moisture-related problems, would only get worse over time and potentially ruin the work we did. RICHMOND — When it comes to removing an in-home mold infestation, proper procedure is critical, not only to ensure a thorough job but also to avoid further contamination. That’s why, if you have a substantial mold problem in your home, your best bet is to call a remediation professional. The first thing a mold remediation company will do is contain the affected area by putting up plastic, which will keep mold spores from escaping while the work is taking place. In addition to being sealed, the work area is put under negative pressure to capture any airborne spores or particles that alight during the course of the job. 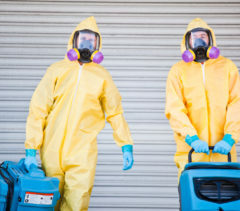 Of course, while it’s important to contain the work space, it’s equally crucial for the workers themselves to be protected against contamination, which is why professionals always wear full protective gear. 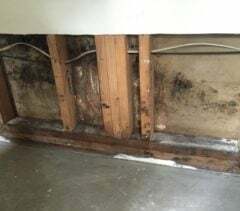 In most cases, removing a mold infestation involves a lot more than just wiping down surfaces, especially if the mold is often rooted within drywall and/or structural wood. In this scenario, demolition will be necessary to ensure a thorough removal. After opening up the walls, the remediation team will sand down everything inside and place all affected materials in sealed plastic bags to prevent cross-contamination. Finally, they will use microbial wipes and HEPA vacuums to thoroughly eradicate any trace of the mold. 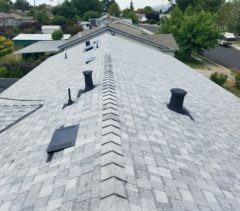 LIVERMORE — When it comes to roof replacement, one aspect that’s often overlooked is attic ventilation. While not as well-known as other roof components like shingles, attic ventilation is nonetheless crucial to ensure a roof reaches its maximum lifespan. That’s why the United States Housing Authority recommends installing one square foot of attic ventilation for every 300 square feet of attic floor space. 1. Heat rises, which means any heat that enters the home will eventually make its way into the attic. Without proper ventilation, heat buildup in the attic can cook the roofing shingles from the bottom, resulting in accelerated deterioration and premature failure of the roof. 2. Like hot air, vapors such as condensation from a hot shower also rise and end up in the attic. Without proper ventilation, condensation can get trapped in the attic and develop into mold and/or dry rot, which can gradually weaken the roof. Now that you understand the impact hot air and condensation can have on a roof, be sure to talk to your roofing contractor about attic ventilation when planning your next roof replacement project. 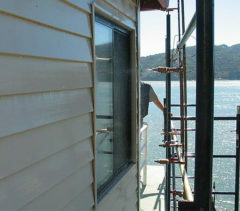 CASTRO VALLEY — When preparing for an exterior painting project, it’s important to inspect the condition of your siding. Particularly on the southern and western exposed elevations, standard plywood siding commonly sustains splits and cracks (known as “face-checking”), which is caused by expansion and contraction over time. Since plywood siding is composed of several layers glued together, if these splits and cracks go deeper than the outermost layer, they’ll pose an increased risk of moisture intrusion. Merely painting over them won’t resolve the issue—the splits and cracks will return soon after, and along with them, the risk of dry rot from moisture intrusion. Fortunately, there’s a product that can prolong the life of worn siding boards: elastomeric polymer waterproof coating. Applied prior to painting, this coating fills in cracks and splits and seals the siding from moisture intrusion. It’s also flexible, which means it won’t fail when the plywood expands and contracts. By prolonging the life of your siding boards, an elastomeric polymer waterproof coating will secure the integrity of your paint job and prevent dry rot and similar problems. WINDSOR — Most roof leaks can be avoided with basic preventative maintenance. One example of this is with pipe jacks, which are metal flanges placed over the plumbing ventilation pipes that protrude from the roof. To seal against moisture intrusion, pipe jacks are fitted with rubber collars. However, as sun exposure causes these collars to deteriorate over time, cracks can form in the rubber. When it rains, these cracks can allow water to penetrate the seal and get inside the home. 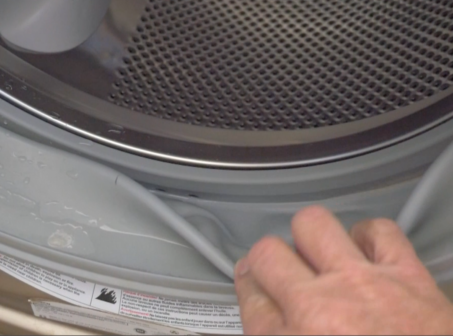 The leaks usually occur in kitchens, bathrooms and laundry rooms—anywhere plumbing fixtures are located. 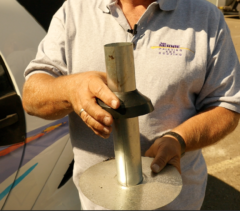 Pipe jack collars are inexpensive and easy to replace—it’s simply a matter of knowing when they need to be replaced. That’s why it’s a good idea to have a roofer or maintenance professional inspect your roof on a regular basis and make sure all pipe jack collars (along with other important waterproofing components) are in good repair. DALY CITY — One maintenance step homeowners often forget about is keeping their window tracks clean. Most residential windows slide on a track; on the outside of this track are two small weep holes that allow rainwater to drain out. When a window’s track isn’t regularly cleaned, dirt and debris can accumulate and plug up these weep holes, which can cause the track to fill with water during heavy storms. In a worst-case scenario, the water will overflow and leak in between the sill and the sheet rock. When this occurs with an upper window of a two-story home, the water will often seep down to the window directly beneath and start leaking inside from the top. While keeping your window tracks clean can help prevent this, such problems may be inevitable if your windows are subpar. 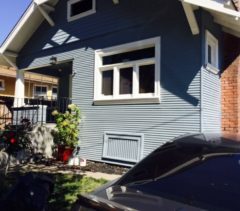 Most older windows weren’t designed to withstand the wind and rain loads we have in California, and if the tracks’ weep holes are undersized, water damage can still occur regardless of how clean they are. To avoid this, have a professional assess your windows and see if they provide adequate drainage—if not, you may want to have them replaced. Consumer Advocate Chris Bjorklund shares tips on how to eradicate mold in your closets.